This article is for those construction-tech startups and entrepreneurs who want to develop construction management app. Keep reading on these three powerful features that you can consider before building an app like Procore. Construction technology is now a booming niche. Yes, you’re listening right. There are a number of opportunities that recognized because of disruption of the multi-trillion dollar construction industry. There is a slew of startups, which are focusing strictly on developing technologies in order to build construction projects to go more seamless whilst increasing productivity and inefficiencies. However, investors are also joining the game with a number of venture capital firms with the objective of investing in the construction industry. There’s an evidence of the growing interest in the construction technology sector. 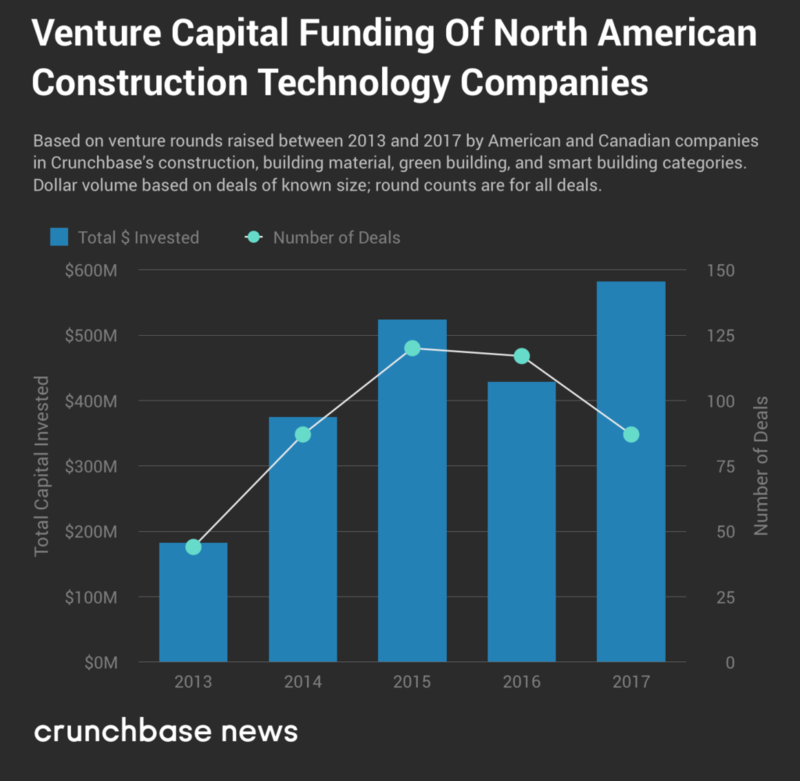 According to the report from Crunchbase data, “The funding in North America construction technology startups risen from $182.7 million to $581.6 million in 2017. This is what you can check in the below-given image. So, investors pumped dollars in the last year i.e. 2017. Undoubtedly, the numbers are expecting to go way up in 2018, too. Meanwhile, we came across a very successful construction technology Unicorn company named Procore Technologies, which has already broken up all the records. 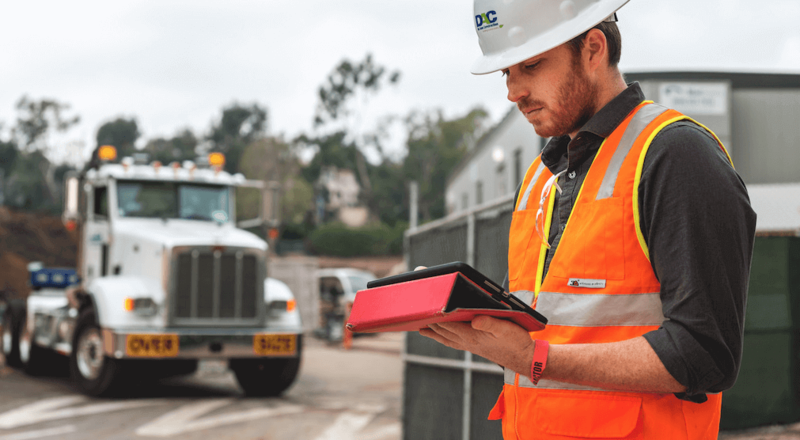 The billion-dollar startup “Procore Technologies” is Carpinteria, California-based construction technology company, which has developed a cloud-based construction management application, aiming to help owners, general contractors, and subcontractors collaborate on blueprints and building documents from any device. Currently, the company is valued more than $1 billion, and more than double its $500 million valuations in the year 2015. This construction-tech startup reached unicorn status in December 2016, bringing its total venture raised to $229 million. Procore app offers support to more than a million app users across the globe in English, Portuguese, and Spanish. According to SimilarWeb, you can check the graph of Usage rank and Google Play ranks, as both are going upward. Interest over time by Google Trends: In the below-given image, you can check the trends of Procore, construction management app. Also, you can check the graph reflects the good signs about its growth. Moving ahead, let us explore three powerful features that construction-tech startup can include before developing a successful construction management app. Construction is a multi-trillion dollar sector now, and the industry has started adopting technology to reduce costs and increase productivity. If we’re talking about Procore, it is known to offer a popular cloud-based management solution for the construction industry. The construction management app enables firms and builders to collaborate on and check the project overview with just a single tap. The construction industry has been historically very slow in order to adopt the technology, and resistant to change. The project overview feature includes RFIs, punch times, submittals, and observations. Such feature allows large teams of construction companies, property owners, and project managers to share access to documents, planning systems, and data. 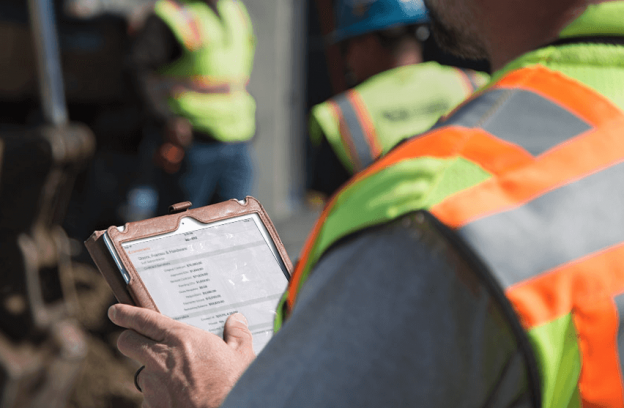 An ideal construction management app enables users to share information and check project progress from the field and office in real-time. In addition, being a construction-tech startup, you can also add features like project dashboard, email tracking, and document management. Users will no longer feel hassles to check the current status of the project. 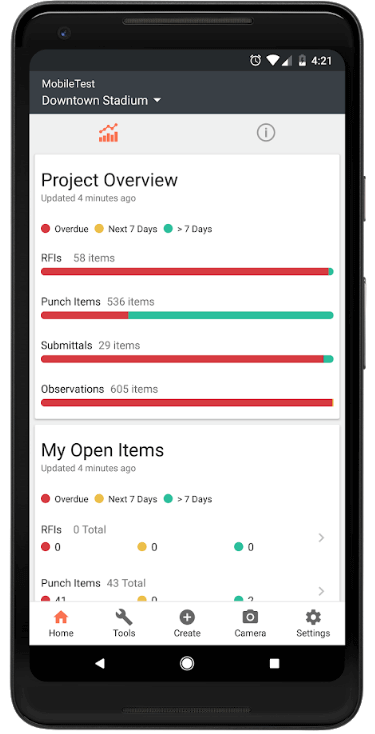 This feature enables app users to share information and check project progress from the worksite or office in real time. Moreover, it includes a number of sub-features like contacts directory, share documents, schedule, drawings, submittals, and RFI (Request for Information). 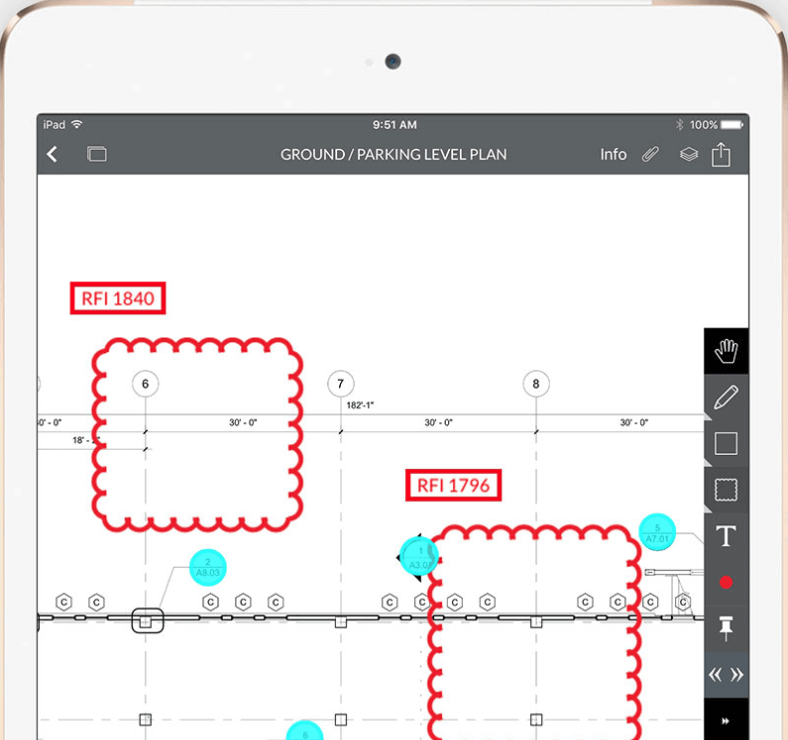 An ideal construction management app is a collaboration tool that helps contractors keep track of projects, including drawing and specification books to overseeing contracts. By doing so, it will reduce errors and cost overruns. The construction management app is the solution for freelancers, large enterprises, and mid-sized business. 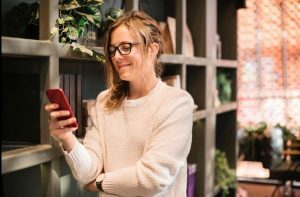 One of the pivotal features that a construction management app should have is that it must be quick, easy-to-use, and user-friendly. Such apps also involve accuracy, and it is always a major concern when it comes to construction management. If we’re talking about architectural drawing, then it needs accuracy. So, it is important that a feature must provide high accuracy. Furthermore, features in construction management app also facilitate the tracking and reduce errors. Some of the other features, which you can include are cost control, purchasing, and field administration. It also gives access to reports and material tracking within the construction management mobile app. The construction management app enables real-time communication among industries and their onsite employees, architects and contractors. 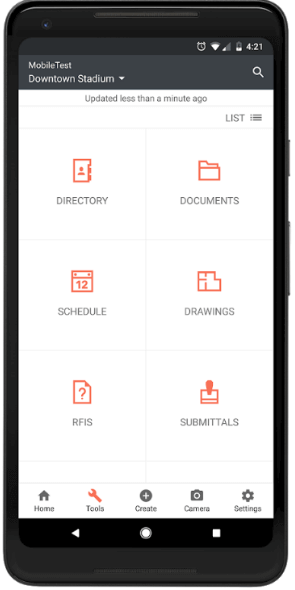 In a nutshell, we can say that an app must include the ability to manage drawings, daily logs, RFIs, submittals, progress images, change orders, project, meeting minutes, contact directories, timecards, and schedule. Indeed, there are lots of opportunities in the construction management niche. 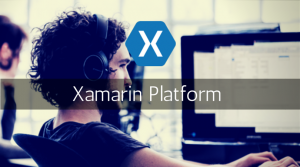 However, all these features simply automate the construction process and store all important files into one single platform, and they can be easily accessed with a single tap. 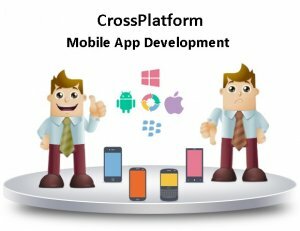 So, if you as a construction-tech startup have already made up your mind to develop the best construction management app, and having some ideas for making an Android app, then you can directly consult us as we are a leading mobile app development company and have already developed over 3500 mobile applications in diverse app categories. In case, if you still have any query or confusion regarding construction manager app, then you can get in touch with us through the below-given form. Our sales representative will revert you within 48 hours. This page was last edited on February 4th, 2019, at 5:08.